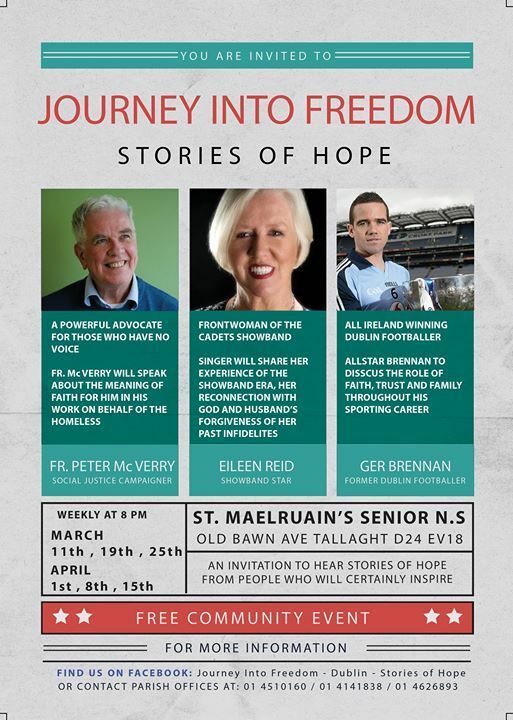 Organiser Geraldine Massey sees this series ‘as an effort to include everyone, and as an invitation to hear stories of hope from people who will certainly inspire us. I hope that people will know that God’s love is for all as we easily give up hope when we don’t get what we want when we want it’. 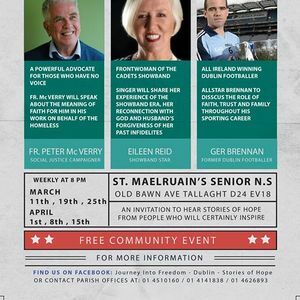 This Journey into Freedom series will also hear stories of hope on healing from cancer (Hilary McCann); stress (Kelly Spellman) and from student James Cannon.